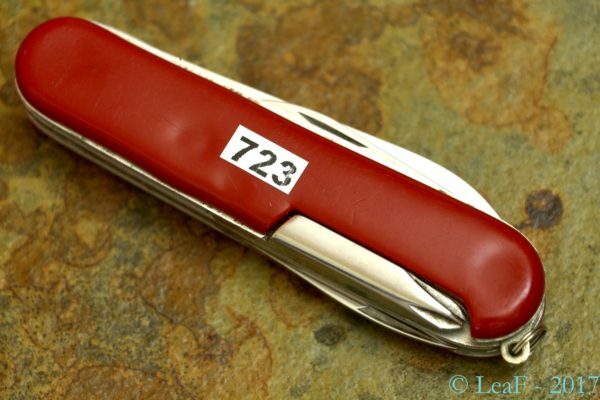 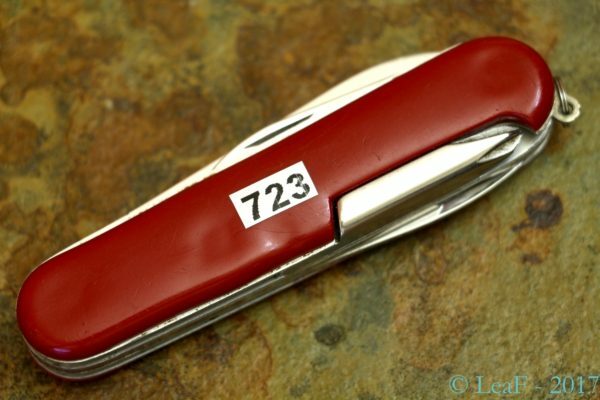 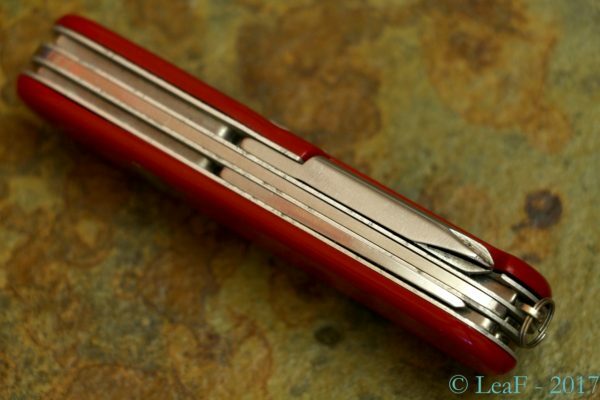 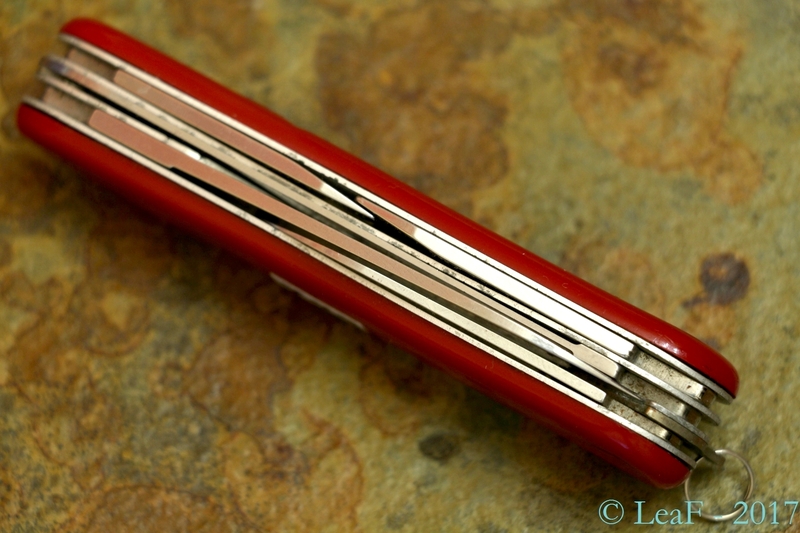 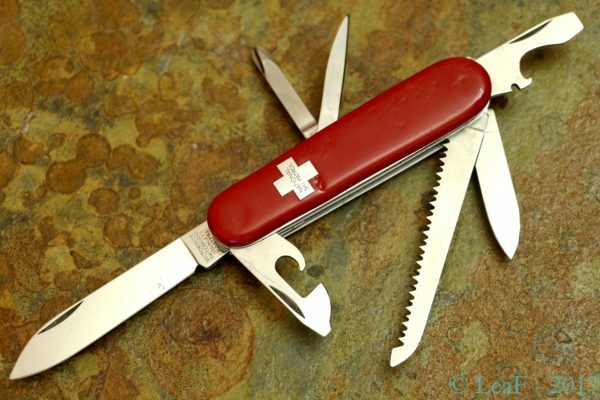 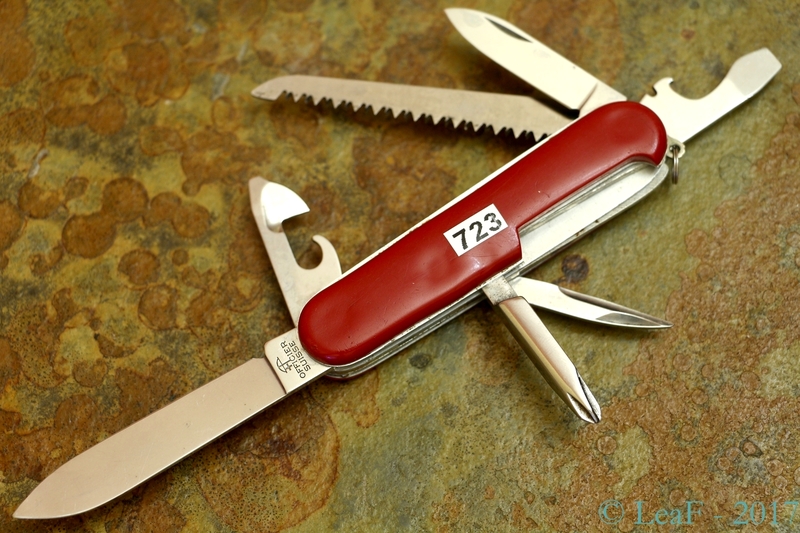 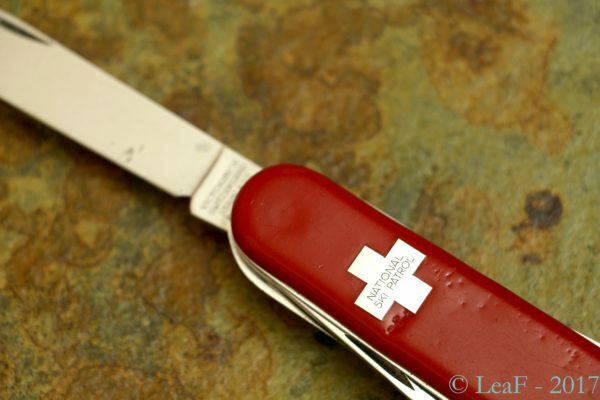 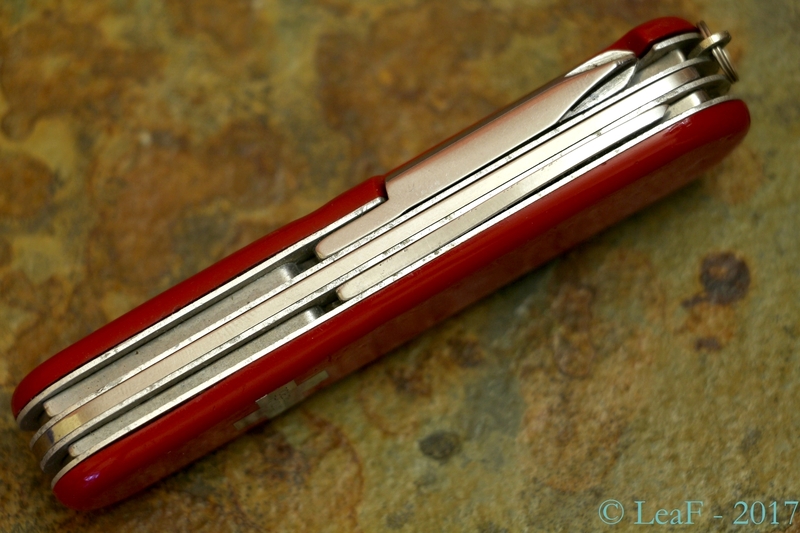 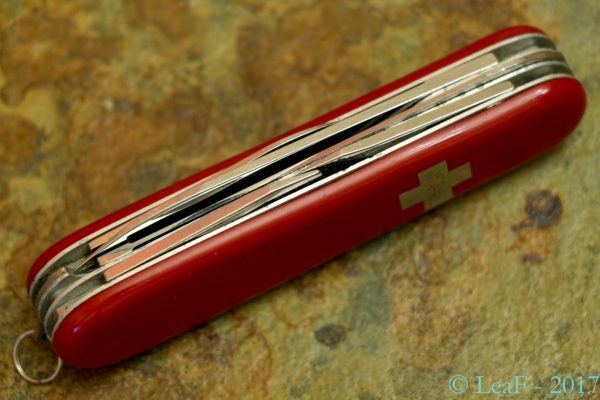 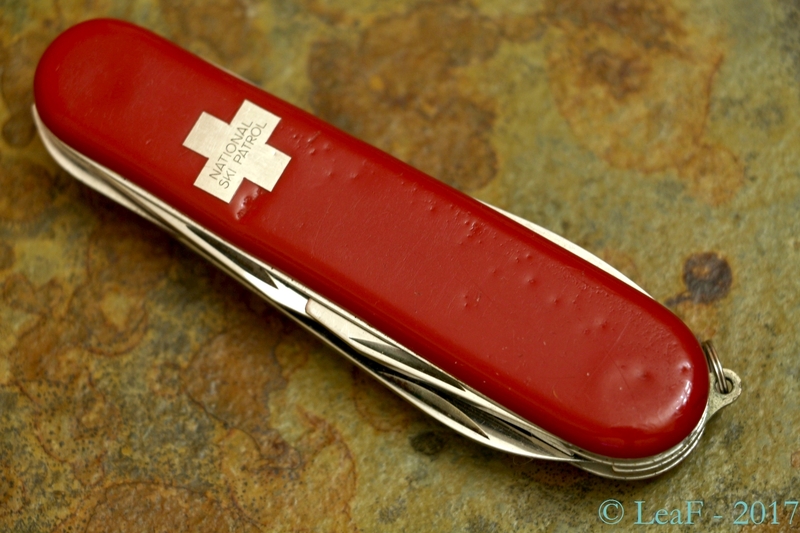 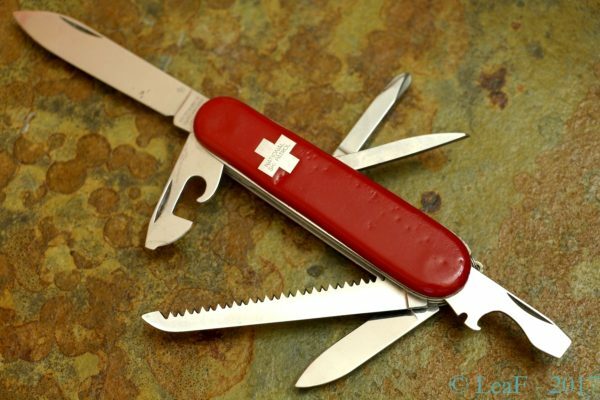 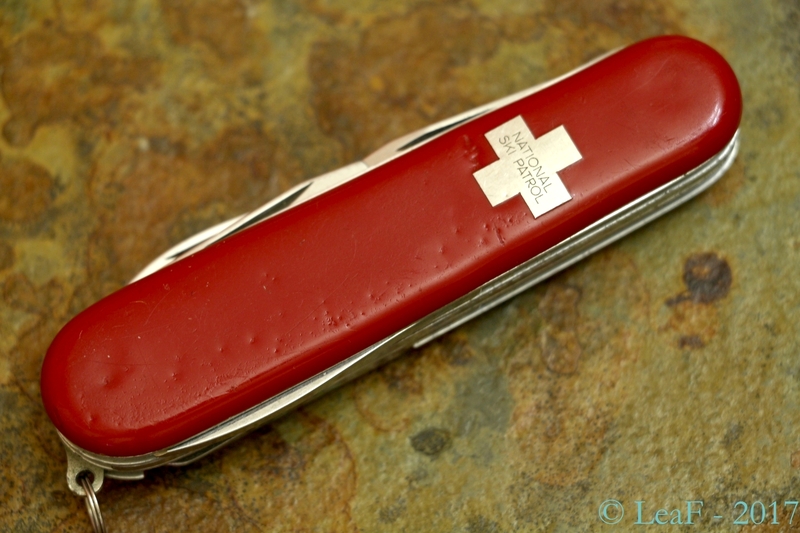 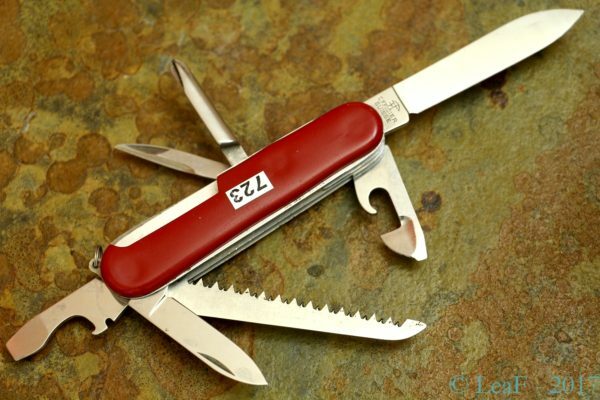 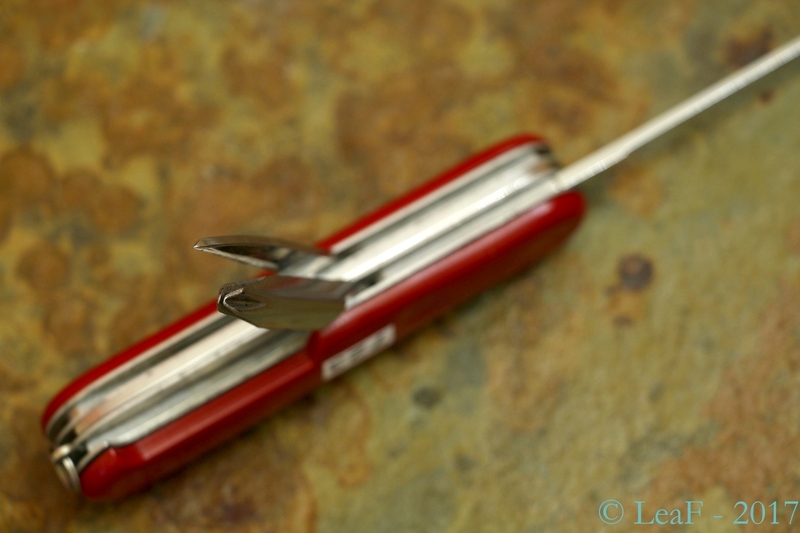 This knife is a regular Victorinox Hiker – 91-mm model with the 3 layers of tools, also can describe it as Camper with corkscrew, replaced by Phillips screwdriver. 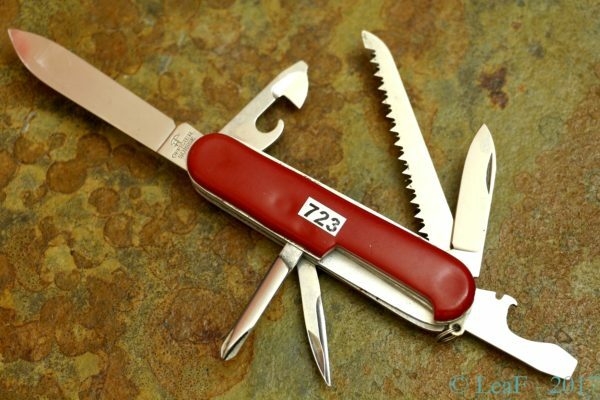 From other hand, it cannot be called just regular, since it has some principal differences, first of all it’s absence of scale tools. Beside this, some tools are pretty old (pay attention to the shape of Phillips screwdriver). The last, but not the least otherness – regular shield replaced by another type of cross with text ‘NATIONAL SKI PATROL’ (it’s a largest winter education organization in the world) on it.